All videos directed by Bison Media. Video directed and written by Bison Media, filmed & produced by TrimTab Media. This video was part of a fundraising campaign we designed to attract local investors to fund the opening of the Mendocino Wool & Fiber Mill in Ukiah, CA. In the first ever Direct Public Offering from a California non-profit organization, we successfully raised $351,000 for the project. Video directed by Bison Media, produced by Into-Imagery. This narrative video featuring a local non-profit organization paints a picture of how art transforms lives daily through their work. As part of a broader project to rebrand the organization, we let the stories and the artwork speak for itself. Our work also included logo design and launching a new website for the organization. Video directed by Bison Media, produced by TrimTab Media. 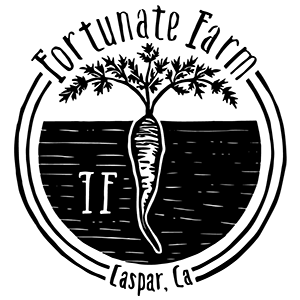 From beer waste to carbon sequestration, this video traces Fortunate Farm’s efforts to reverse the carbon footprint of North Coast Brewing Company through an innovative composting method. Directed by Bison Media, produced by TrimTab Media. In an inspired effort to link beer with ocean preservation, this video traces the story of North Coast Steller IPA which helps support marine mammal research and rescue with the sale of every bottle. We execute communications strategies for an array of mission-driven clients ranging from small local businesses and nonprofits to international brands. Whether we are working on political strategy, an impact-driven fundraising campaign, or website development, there is an equal chance our meetings will take place on a farm or around a conference table. Enter your info to receive occasional marketing tips and updates. You may hear from us about once a month. We respect your privacy. We will never share your information or spam you. Promise. Copyright © 2019 Bison Media. All rights reserved.